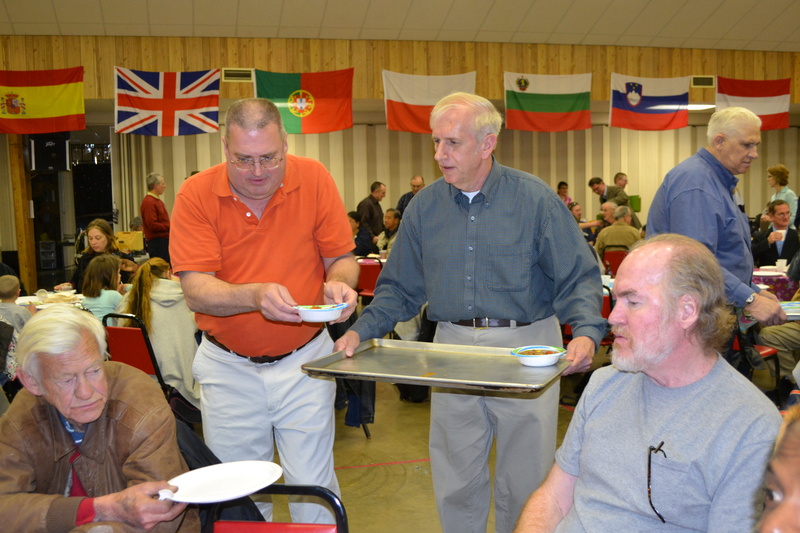 Maranatha Brethren Kicks Off our Easter Celebrations! 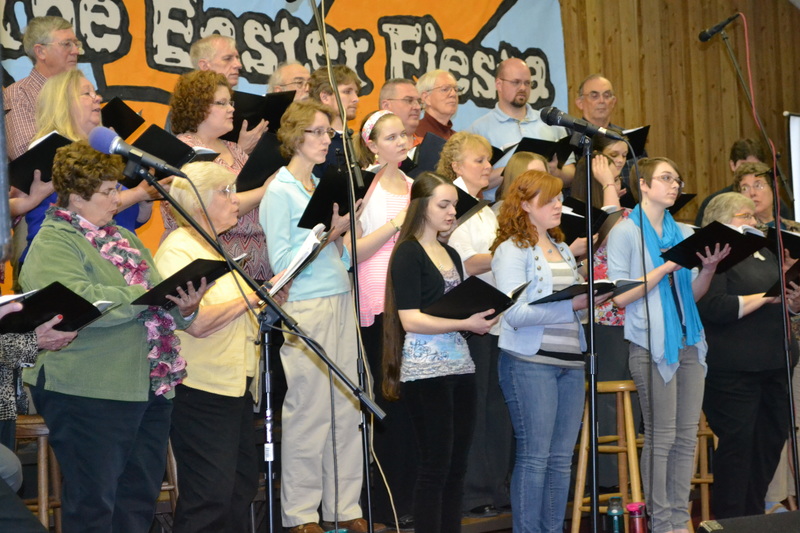 On Friday, March 23rd, the choir from Maranatha Brethren Church performed their Easter cantata, Blessed Redeemer by David T. Clydesdale and directed by Pastor Dan Thornton. Every month Maranatha Brethren hosts an evening chapel service for our community guests but twice a year they bring their Christmas and Easter cantatas for an even bigger evening of music and celebration. 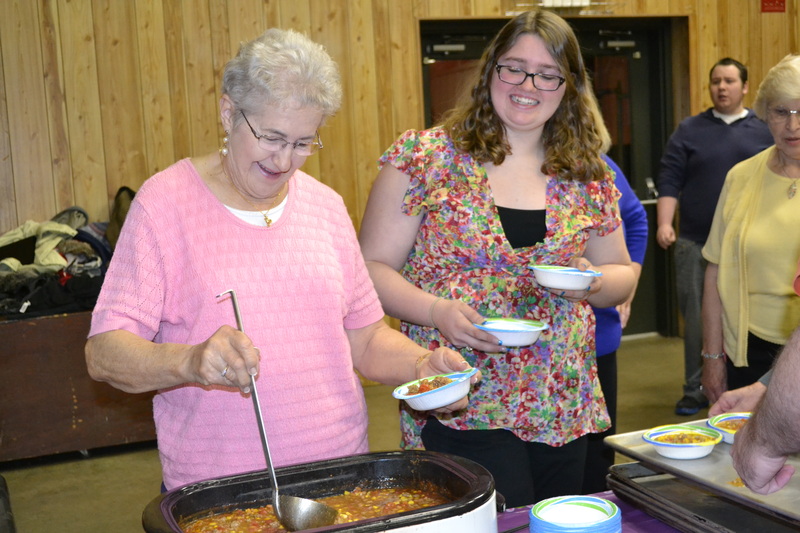 Following the spring cantata, Maranatha served up a delicious dinner of homemade soup which was perfect for such a cold evening! Along with the soup was a wide assortment of baked goods and sweets to make every sweet tooth in the room happy. 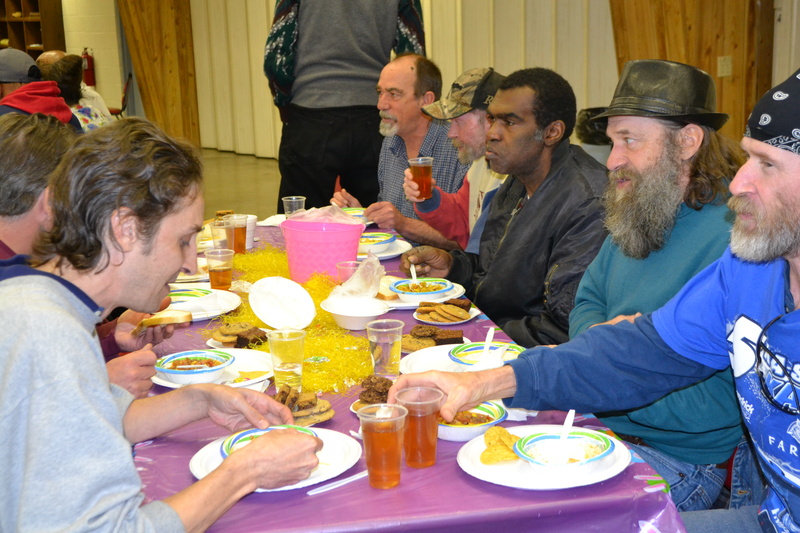 Our guests had a lovely evening kicking off our Easter week celebration. We’re so thankful for Sue Thornton and Christa Bloom who organize the meal and set up the facility each time, along with the other awesome folks from Maranatha for always providing such a wonderful, festive evening for our community guests each year. If you’re looking for a place to worship and celebrate Easter this weekend then why not check out Maranatha Brethren Church? It’s located at 19835 Scott Hill Drive just off of Jefferson Boulevard in Hagerstown. Go to http://www.maranathagbc.net to learn more about the church, various programs and to get service times for Easter weekend. And if your church, choir, or youth group would like to get involved like Maranatha then let us know! Call 301.739.1165 or email us at hagerstownrescue@verizon.net. 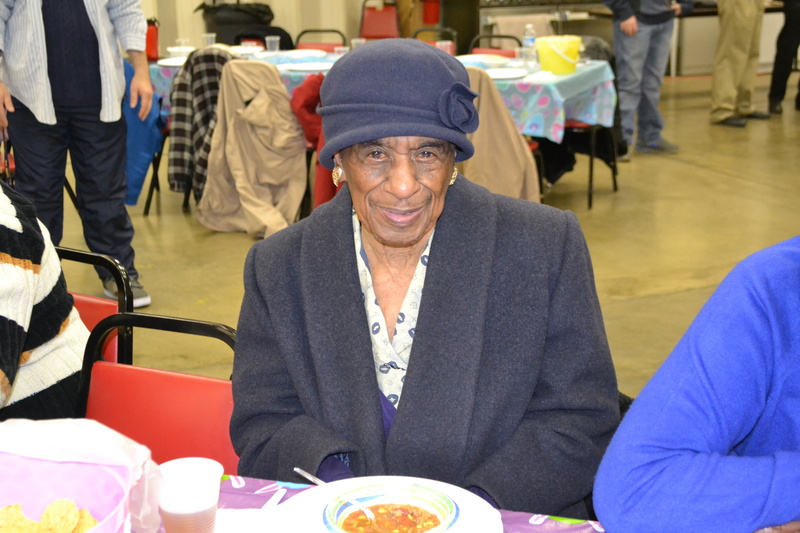 And go to http://www.hagerstownhopecenter.com to learn more about upcoming events and the many other programs, services and ministries at The Hope Center. 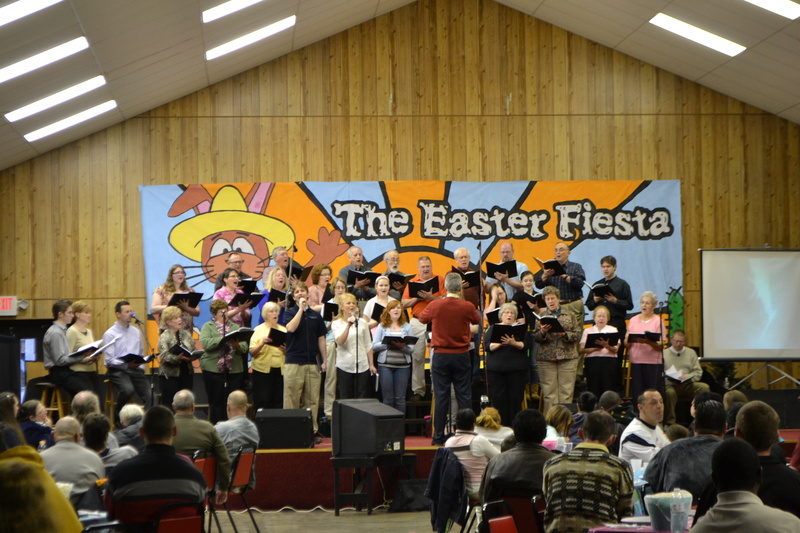 On Saturday, March 23rd, the choirs from Maranatha Brethren Church and Waynesboro Grace Brethren Church hosted a beautiful night of music and food to celebrate Easter! The joint choirs performed an Easter Cantata called “The Story”, which tells about the powerful life, death & resurrection of Christ through beautiful music. 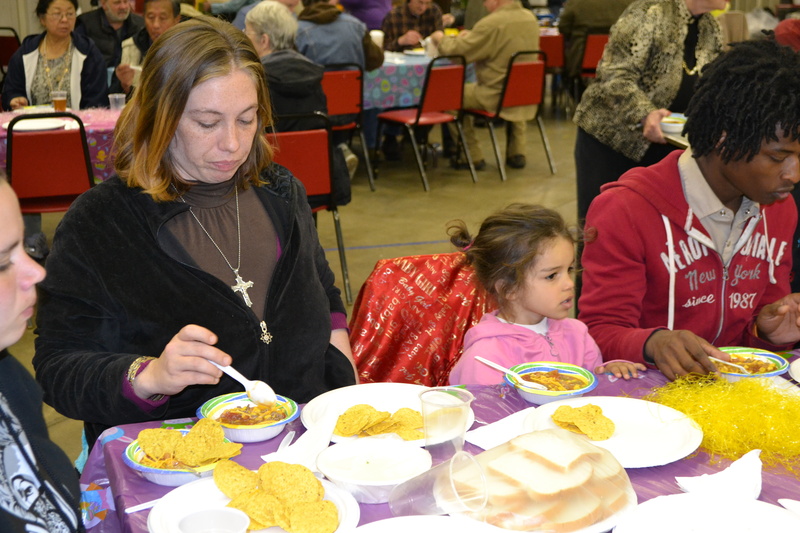 Following the service, the two churches served a delicious, hot meal of homemade chili, bread and desserts. A perfect meal for a cold evening! 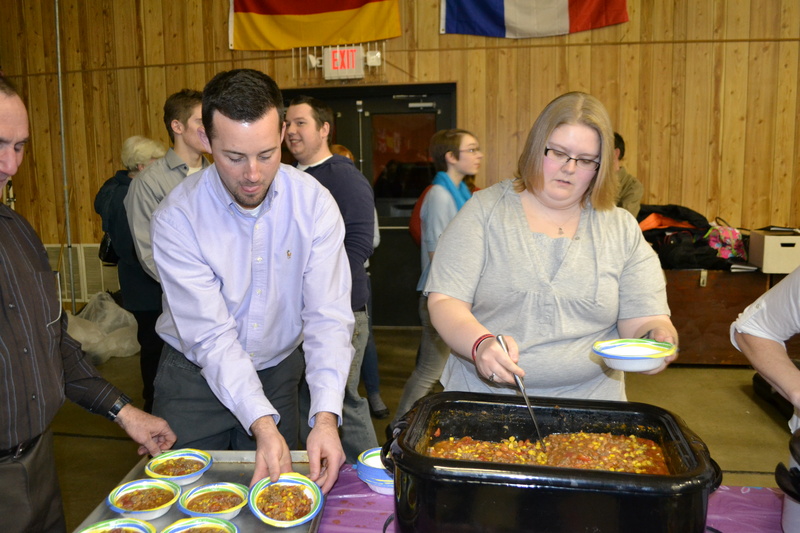 There were between 40-50 volunteers who helped to serve the guests in attendance. 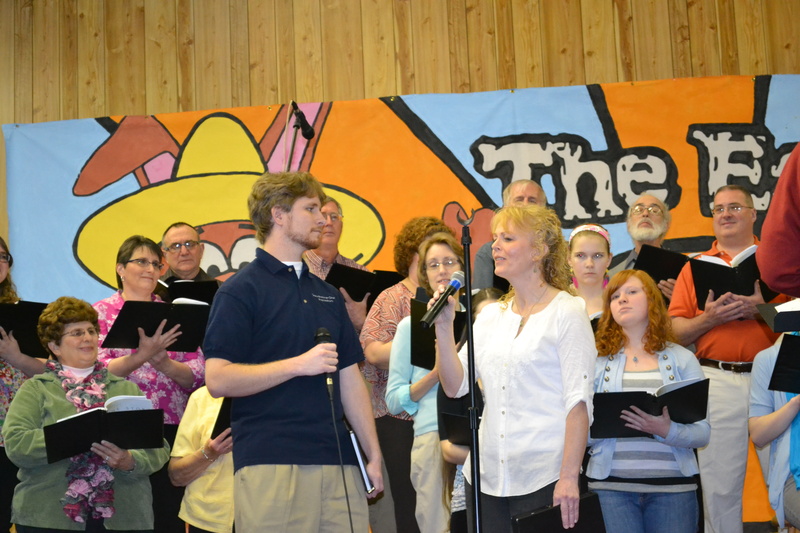 This is the 3rd time that Maranatha has hosted a cantata for the community and each one has seen a rise in attendance. We want to thank Dan Thorton, cantata director and pastor at Maranatha, and the choirs and volunteers from both churches for providing such a wonderful night for our guests in the community! We hope to continue having these cantatas every holiday season! If you would like to support the choirs from Maranatha & Waynesboro Grace then be sure to go to one of their shows this weekend. On Saturday, March 30th at 7pm, the cantata will be presented at Waynesboro Grace Brethren (250 Philadelphia Ave, Waynesboro, PA). It will then be performed again on Easter Sunday, March 31st at 7pm at Maranatha Brethren Church (19835 Scott Hill Dr, Hagerstown). For more info or directions, please call Maranatha Brethren at 301.733.1717 or Waynesboro Grace Brethren at 717.762.5826. You can also check out their websites at www.maranathagbc.net and www.waynesborochurch.org. Easter is just around the corner and we are so excited to celebrate the resurrection of Christ! And we’d love for you to join us in the celebration! On Saturday, April 7th, the choir of Maranatha Brethren Church will be performing a beautiful Easter Cantata “Hallelujah Praise the Lamb”. Following the performance there will be a free spaghetti dinner. Invite your friends, family and neighbors for a wonderful night of music, food and celebration of the resurrection of Jesus! 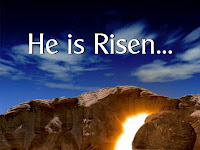 Join us on Saturday, April 7, 2012 at 6:45pm at the Trinity Center at The Hope Center. For more info, please call 301.739.1165 or email hagerstownrescue@verizon.net.